The GREAT NC FREEZE of 2015 – Considerations for your swimming pool AND yard! 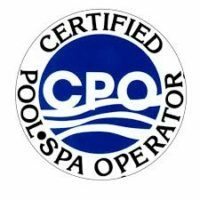 The GREAT NC FREEZE of 2015 – Considerations for your swimming pool AND yard during this FRIGID time on the OBX and all round NC and VA.
Hopefully, you have winterized your pool and landscape already OR have taken measures to protect them. While it is not always necessary to winterize here in North Carolina, here are some considerations for the future when we have freezing temperatures! POOL: Keep your pool pump running on the highest setting and turn your jets towards the surface. Water can freeze if you are running the pump on lower speeds. You can also cover your equipment with a fire proof heat rated blanket, which will provide an insulation barrier over any exposed plumbing until temps rise. Turning your jets upward will also help prevent the surface from freezing by keeping the water circulating. Pool equipment is expensive and should be protected! LANDSCAPING: We recommend always covering tender palms and plants. Burlap is a great choice because it is a breathable material. Always wait until spring to remove any winter/freeze damage. It is also important to winterize your irrigation to avoid burst pipes and pumps. Southern Scapes is happy to provide this service to you! Maintaining the appropriate amount of mulch in beds will also help insulate your plants. Stay warm and think spring. It will be 90 degrees and humid before we know it. Great deals are to be had on new in stock pools right now before the new shipments arrive. Call today before they’re gone and get on the build schedule that’s filling up fast, so you can take the plunge when the weather allows! Don’t delay folks – we want you swimming early in 2015!